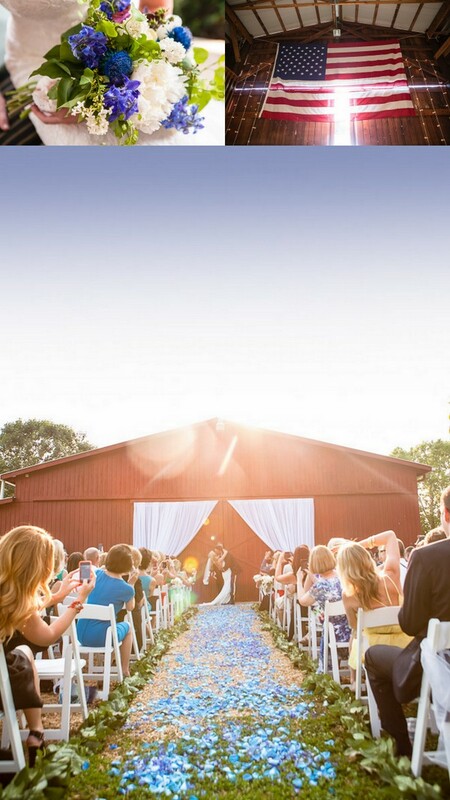 Posted in: Wedding Ceremonies, Weddings. 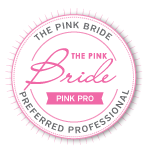 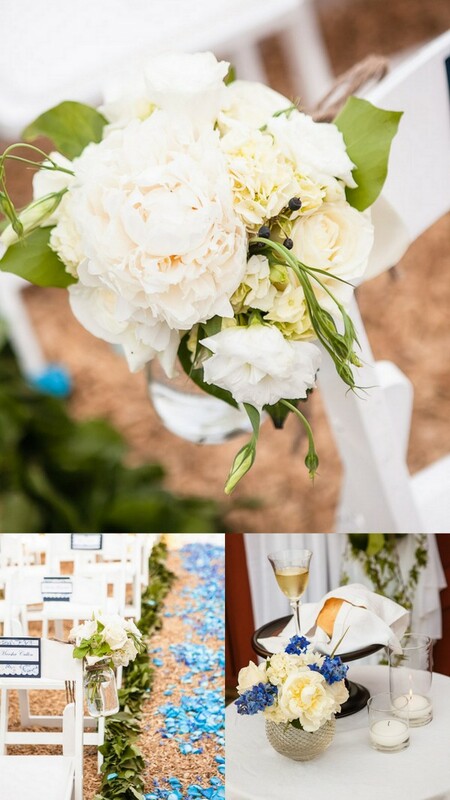 Tagged: Caprice Palmer, Dove Wedding Photography, Enchanted Florist, Memorial Day Wedding, Nashville Wedding Florist, Nashville Weddings. 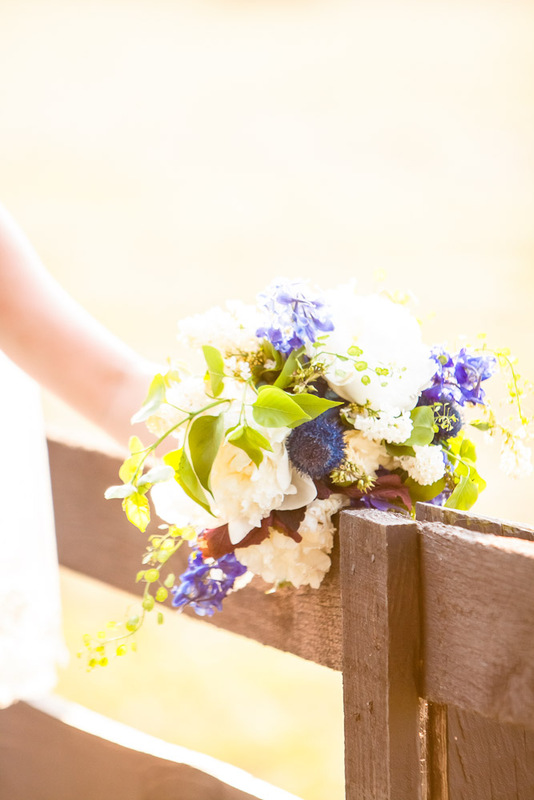 It may feel like fall outside but we have been looking forward to sharing this springtime wedding from Memorial Day Weekend all summer. 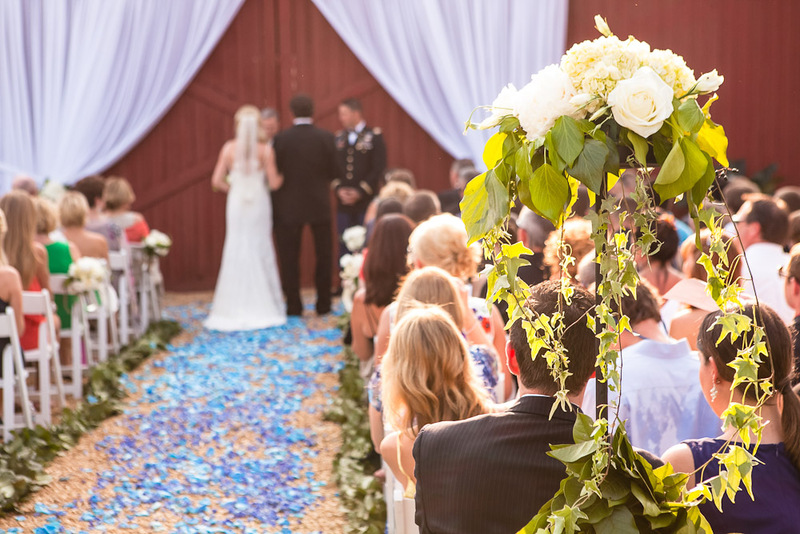 Married at private home in Nashville, Kathryn and Curtis’s wedding day celebrated their love for each other as well as their love for America! 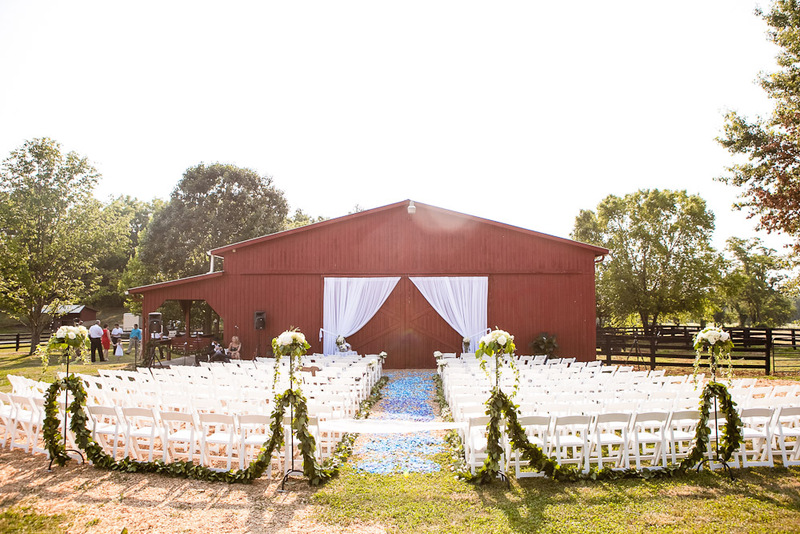 A red bard on the property served as the outdoor ceremony space where simple draping, blue and white blooms, and sweeping greens added a timeless elegance. 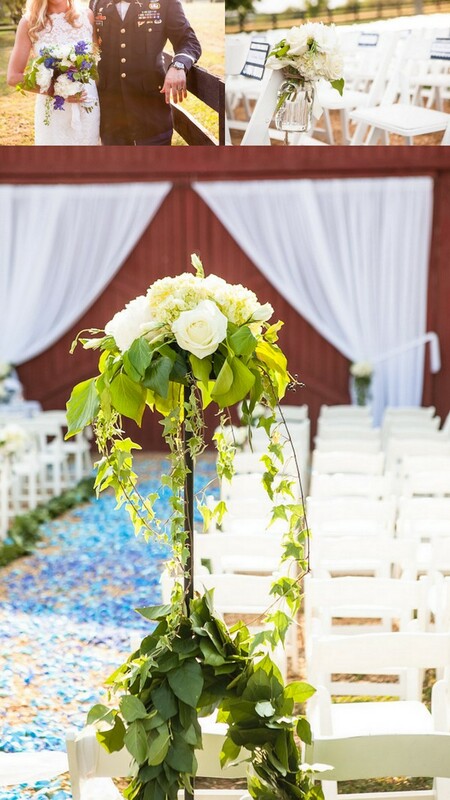 The carpet of blue petals down the aisle made for a dramatic entrance that we just love!